My favorite Flat picks ! Flats have always been my favorite footwear. They are simple and comfy; they put the least pressure on your foot – and if they come in a variety of colors and styles, even better! 2. 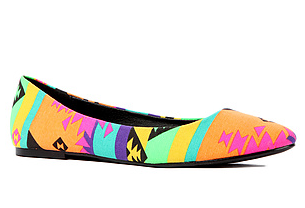 The Kool Flat in Black and Yellow Multi from Karmaloop – $19.95 – beautiful bright and colorful tribal design. 3. 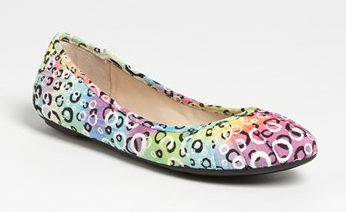 Leopard Print Ballet Flats from Forever21 – $23.80 – very wild and chic. 4. Spike-accented Canvas Loafers from Forever21 – $31.80 – bubble pink with a punk touch. 5. 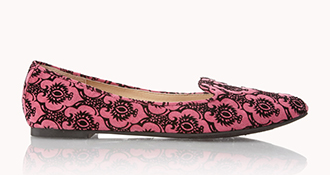 Velveteen Waverly Print Loafers from Forever21 – $27.80 – beautiful damask design! 6. 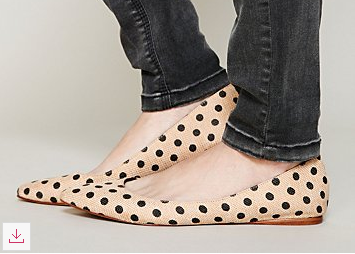 Coconuts by Matisse Kiley Dot Flat from FreePeople – $41.31 – has a cute Miu Miu touch. 8. 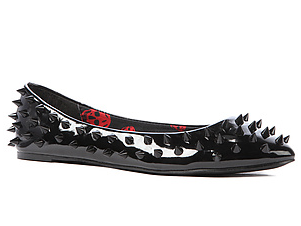 Blustery Flat (ONLINE ONLY) – Nine West from Nordstrom – $46.26 – pretty bubbles. 9. Juju Vicky Flat Jelly Shoes in Lime from Motel – £16.00 – Weird and limy. Love it! 10. 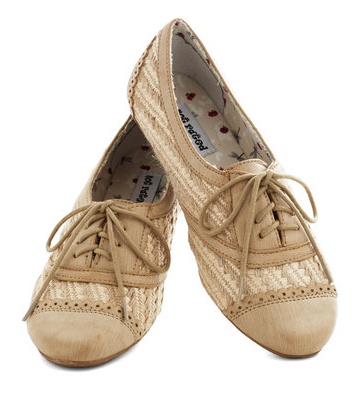 Basket Brunch Flat in Cream from ModCloth – $34.99 – Vintage design. Simply beautiful. 11. 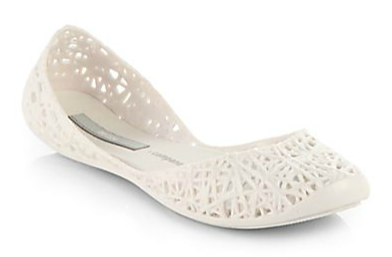 Lacy Pointed Flats from Ruche – $32.99 – classic chic oxford style design. 12. 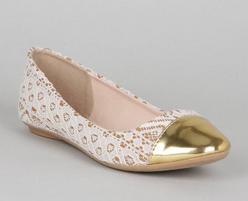 Capped Toe Lace Ballet Flats from Qupid Savanna – $17.90 – Gold cap on lace. Pretty! 13. 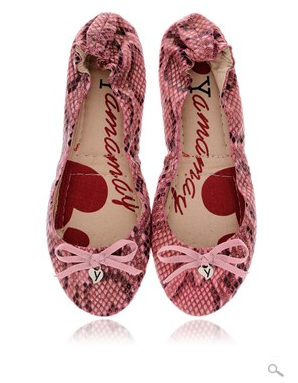 Melissa Campana Glitter Jelly Ballet Flats from Saks Fifth Avenue – $52.19 – My favorite! 14. 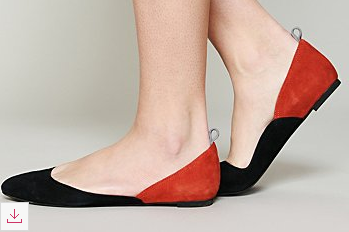 Jeffrey Campbell Terrace Flat from FreePeople – $30.97 – Multi-tone suede flats. 15. 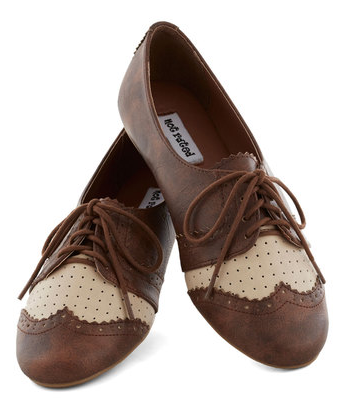 A Day of Dashing Flat in Whiskey – from ModCloth – $34.99 – Whiskey brown oxford flats! 16. Frances Pointed Toe Flats from Ruche – $35.99 – Sleek design with black and white stripes. 17. Aqua Grained Leather Crystal Tap Toe ‘Agatha’ Ballet Flats from Blue Fly – $46.40 – Baby blue flat with a shiny tap toe. Cute! 18. 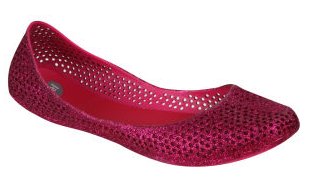 Mel Women’s Mango Ballet Pumps – Glitter Pink from The Hut – £29.00 – glitter chic pink flats. 19. 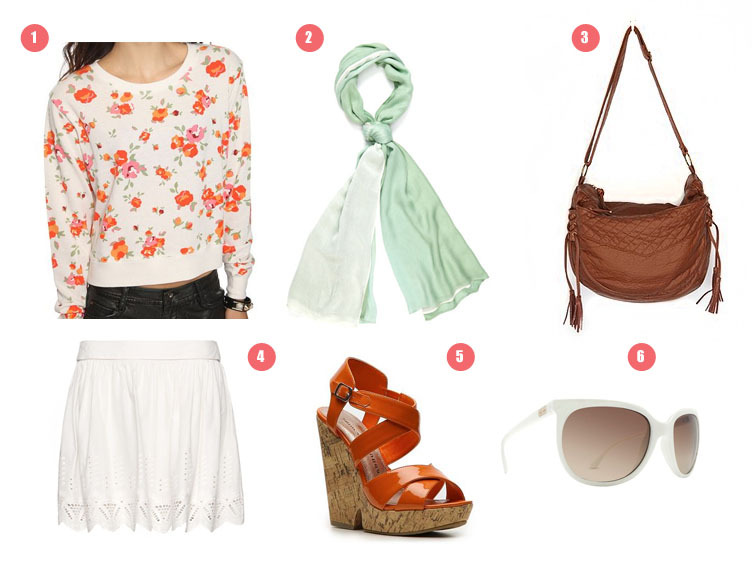 Can’t Help but Stare Flats from ModCloth – $34.99 – Geeky Green flats!